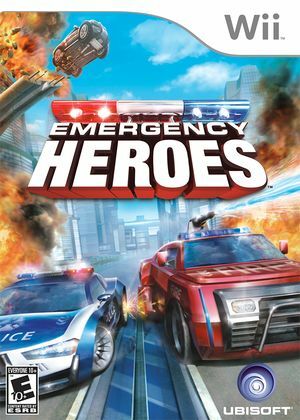 Emergency Heroes is the open world rescue driving game that is designed for the next generation of young rescue heroes. Race to the scene in advanced police, fire and EMT rescue vehicles that let you jump over four-lane highways, power-slide into water towers and track down criminals at high speeds. By combining simple intuitive controls with fast, exhilarating action, Emergency Heroes offers an exciting experience the whole family can enjoy. The graph below charts the compatibility with Emergency Heroes since Dolphin's 2.0 release, listing revisions only where a compatibility change occurred. This page was last edited on 10 January 2018, at 17:52.